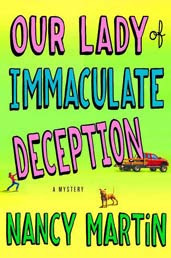 Our Lady of Immaculate Deception is the first book in a new series by author, Nancy Martin. This book turned out to be a bit of a disappointment for me. I was expecting tons of laughs and a rip, roaring good time. This did not happen for me. I had a hard time getting into this book. It started out slow and I even put it down for a while, thinking it will pick up but it never did. I had a really hard time finishing this book. 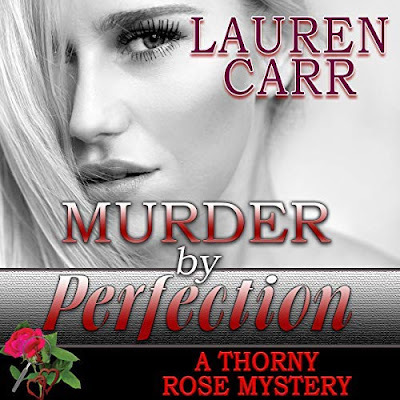 I never connected with the characters and the storyline was kind of weak. I thought it was only me, who felt this way but it appears that many others agreed with me. Though, I didn’t care for this book, I have read good things about Ms. Martin’s other books and am willing to give them a try. The cover seems like that of a fun book. Sad to hear that it disappointed you.. Unfortunately I had the same reaction to this one, Cheryl. And you know what, I think I actually really liked Roxy as a character, but with all of the other characters' perspectives throughout the book, I finally gave up because I wasn't seeing much of her.